WebmMoney is one of the oldest modern online payment methods in Russian Federation, this web wallet exists in the industry since 1998. It is a unique payment system that allows customers to make purchases online, to relocate funds in different currencies, and even get loans. Actually, WebMoney is much more than just an e-wallet, it is a complete online financial system, that will give you all the opportunities you need. 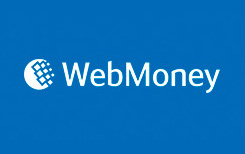 If you want to become a client of WebMoney service, you must register an account. You need to enter some basic information about yourself, to complete the verification of your phone number and e-mail address, create a password and select the currency (or several currencies if needed). You can choose among EUR, USD, RUR, UAH and BYR. After the registration you will receive your unique Webmoney ID number (WMID), and after you download the wallet (software for making payments and managing your account), you will use this WMID to login. If you’re better with your phone number or address of your e-mail, you can use this data for logging in. Basic level that is given to any customer after the registration. You just need enter some basic information, mobile phone number and e-mail address. It is a level that can be achieved after providing several copies of personal documents, like ID and passport. To upgrade your account to Initial status, you have to present the same documents, but not its digital copies – you have to send papers by mail or go to one of Webmoney offices and give it in person. It’s almost the same type of account, as initial, but with bigger possibilities, some kind of VIP status. You also have to provide Webmoney with copies of personal documents in person in order to achieve Personal account status. (Important note: if you decided to upgrade your account and to receive an initial or persona status, you must pay a fee. The reason is because you have to pay the agent that will check your document for his service. The fee is individual for each agent, to find out more, check Webmoney FAQ. Once you downloaded your keeper and created a purse, you must deposit some money in order to pay online. Almost every major way of modern online payment can be used to funds Webmoney purse wire transfer, credit and debit card, terminal, ATM of some banks, cashiers and agents, that can not only upgrade your account, but also to convert cash into Webmoney. The service is not free of charge, every way of depositing has its own price and the price depends on the chosen method as well as time needed for the transaction to complete. But in most cases money will arrive on your Webmoney keeper just in a few minutes. But not only depositing money to Webmoney will cost you additional spendings. Small percentage is always being charged, whatever feature you use with Webmoney. Regular payment fee is 0.8% which is pretty low concerning alternative russian payment methods. If you want to withdraw money from your Webmoney keeper, you can choose one of several options – credit or debit card, sending money to bank account, using Webmoney exchange points and agents, and some more. Webmoney is a very innovative company, so its clients can get access to their accounts just using their mobile phones or other devices. You just need to download Webmoney application. Online Casinos And Webmoney: How To Deposit? When you finished with setting up your account and once you deposited some amount of money to your keeper, there is nothing difficult in sending money to your online casino account. On the website of your online casino select Webmoney in a list of payment methods, in the category for e-wallets. Next you will have to fill in the exact amount of money you want to deposit, and then you must enter your WMID and your password. You will receive SMS with the protection code on your mobile phone, Enter it and click OK. In a minute your money will be sent to online casino account. Casinos themselves usually don’t charge their customers with extra fees for depositing with WebMoney. But Webmoney will charge any your transaction with 0.8%, including depositing to online casinos. Online Casinos And Webmoney: How To Withdraw? Luckily, Webmoney gives its customers not only a way to deposit funds to online casino, but also to withdraw it. But before starting the withdrawing process, ask the support service about the possibilities you have. Some casinos will charge additional fees, other will have their own additional rules that apply only for Webmoney withdrawals. As it was mentioned before, all the transactions that are carried out by Webmoney system are charged with 0.8% of the amount, and withdrawal is not the exception. The speed of withdrawal can depend on different factors and usually is no longer than few hours, but in some instances money can be waited for as long as 10 days. Webmoney is not just a payment system, it is a complete web wallet, so you can not only deposit, you can also take your winnings by withdrawing to Webmoney keeper. For some people, who got used to simple and fast systems, the complexity of WebMoney and the range of its services can be too much.